In the debate about baptism with which we are all familiar, we may note a set of binary alternatives: either one baptizes an adult candidate on the basis of their mature decision to repent and believe or one baptizes an infant on the basis of promises made by his or her sponsors. These alternatives usually wear the theological labels of “believer’s baptism” and “infant baptism”. Usually this binary involves another binary, with those opting for “believer’s baptism” asserting that baptism does not bestow regeneration, but simply witnesses to a prior work of grace, and those opting for “infant baptism” asserting that baptism itself does regenerate the baptized candidate. There are other refinements, of course, especially when a Reformed doctrine of predestination is added to the mix, but most opinions about baptism divide along these lines. Admittedly our current missionary situation is blurring these venerable divisions. 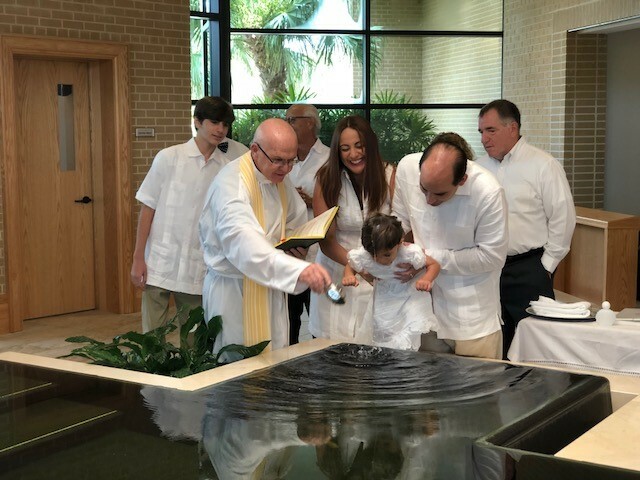 In my day, most people were baptized as infants—that is, assuming they were Roman Catholics, Anglicans, Presbyterians, Methodists, or Congregationalists. Baptists (Pentecostals were rarer then) offered a minority report, but even most of them were baptized when you met them socially, having been baptized by the time they reached adulthood. That is, most people identified as members of a Christian church of some kind, even if they didn’t think about their faith or really believe much of anything, and only went to church at Christmas and Easter. We all lived in a (mostly) baptized country. The debate could sometimes become heated, especially when a person who was baptized as an infant and fell away from active faith returned to faith in the context of a Baptist or Pentecostal church. In these cases the church would advise (or sometimes insist) that the newly-devout person be baptized as an adult. Protests that he or she had already been baptized were met with dismissive denunciations of infant baptism, usually insisting that baptism administered in infancy was no real baptism at all. From the perspective of the Baptists, adult baptism was not a re-baptism of the candidate, but simply baptism. Their infant baptism did not count. This dismissal of infant baptism as invalid was met with in return by an equally firm denunciation of believer’s baptism and an assertion of the validity and effectiveness of infant baptism. Sometimes the debate was conducted at a high level, such as the famous academic brawl between Joachim Jeremias (who in his Infant Baptism in the First Four Centuries argued that the early church baptized infants) and Kurt Aland (who in his Did the Early Church Baptize Infants?) argued that the early church did not. But whether heated or academic, the debate went on and on, each side trying to thrash out the question of which of the two binary alternatives should constitute the norm for the church: the baptism of infants or of adults. 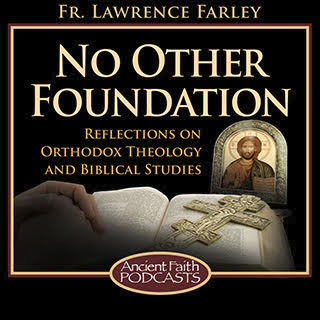 It is just here that St. Gregory of Nazianzus (hailed by the Orthodox as “the Theologian” for the depth of his theological insight and the brilliance of his rhetoric) is so interesting. St. Gregory died 390, well before the Anabaptists of the Reformation suggested that infant baptism was a contradiction in terms. His orthodoxy was impeccable. Like everyone in the early church, he accepted the possibility and sacramentality of baptism when administered to infants. That is, like everyone else in the early church, he did not say that baptism could not be performed if the infant candidate was too young to answer for himself. The Church acknowledged that infants could be baptized at least as far back as Origen, who himself declared that the Church received the practice from the apostles. And like everyone in the early church, St. Gregory declared that baptism regenerated and bestowed the forgiveness of sins. It is therefore all the more extraordinary that he made a pastoral suggestion which does not fit into either of the two binary options we have been considering. St. Gregory, if alive today, would almost certainly incur the dismissive ire of both groups, and irritate pretty much everyone—which is usually always a sign that one is on to something valuable. In his Oration 40, Gregory discusses baptism. In his day, many people were delaying baptism until they were on their deathbeds, given the gravity of post-baptismal sin and the proclivity of young people to sow wild oats. Gregory will have none of this. Instead he urges his flock not to postpone baptism until the last possible minute. Better to baptize them right away. To this Gregory answers, “Certainly, if any danger threatens. For it is better that they should be unconsciously sanctified than that they should depart [i.e. die] unsealed and uninitiated. A proof of this is found in the circumcision on the eighth day…But in respect of others [i.e. those not in danger] I give my opinion to wait until the end of their third year, or a little more or less, when they may be able to listen and to answer something about the mystery [i.e. the sacrament]; that, even though they do not perfectly understand it, yet at any rate they may know the outlines, and then to sanctify them in soul and body with the great mystery of our consecration. For this is how the matter stands; at that time they begin to be responsible for their lives, when reason is matured, and they learn the mystery (for of sins of ignorance owing to their tender years they have no account to give), and it is far more profitable on all accounts to be fortified by the washing because of the sudden assaults of danger that befall us” (chapter 28). In this answer, St. Gregory says that baptism from the earliest time is preferable to waiting until the end. He counsels the baptism of infants “if any danger threatens”—i.e. if the infant were in imminent danger of death (a more widespread tragedy in those days than now in the West, where infant mortality rates are thankfully low). But for “others”—i.e. infants not in danger of death—he counsels that the parents wait until the child is three or so years old. That, he opines, will be more profitable, since the child will at least be able to remember the great sacramental mystery received, at least in outline, and this memory will stand them in good stead when dangers later befall. St. Gregory, like many in the east, did not seem overly concerned with sin in the child’s life prior to baptism in its youngest years, “for of sins of ignorance owing to their tender years they have no account to give”. In this he differed from some of his western brethren, who believed (like St. Augustine) that children dying unbaptized could not be saved. This seems to account for his lack of urgency. Our Cappadocian Theologian breaks the binary logjam somewhat. 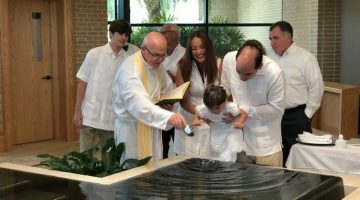 He acknowledges that infants can be baptized, and sometimes should. But he also suggests that a delay of a few years may prove helpful to the child. This introduces a third option as a norm for Christian parents: not infant baptism, nor deferral of baptism until adulthood, but child baptism. No doubt in such cases the child could be enrolled as a catechumen and so still find itself included in the family of faith and under the protection of the Church’s liturgical prayer. It is something to think about. I have friends whose infant daughter refused to take milk halfway through Wednesdays and Fridays, as well as the morning before communion. They mentioned it when I was at their house and she astounded me by bringing me something related to a conversation she should not have been old enough to understand. The mom said she would sit there and try to feed her, but she just would not take it. I read the same thing about St. John Chrysostom. While this is an interesting article, the things I mentioned make me feel that the Church’s current practice of involving infants in the sacramental life is best. Infants are capable of having a relationship with God. The sacramental life facilitates this, and so I think this should be granted. I’ve often wondered if the depraved state of our (post)modern society is not directly connected to the fact that there are legions of unbaptized people, compared with forty or fifty years ago. But the problem is that in that case until the age of 3 the child cannot take Holy Communion, in other words, he cannot receive this essential sanctification. Isn’t this the main reason children ought to be baptized as early as possible? Especially in our age when children are in great dangers, not necessarily of death, but of other evils. I would also like to add that baptism should be performed in the proper way, that is by triple immersion of the whole body, not as in the photograph above where the priest simply pours a little water over the head of the child. The Holy Canons forbid this severely (f.ex. Apostolic Canon 50). “Baptism” means literally “immersion”, and the Baptism of Christ we see it in the Gospel (Mt 3,16) gives us the timeless model for it. The photograph was not chosen to illustrate the mode of baptism, but simply the approximate age of the child. Regarding Holy Communion, it seems that St. Gregory was less concerned about this, and I am happy to defer to St. Gregory.